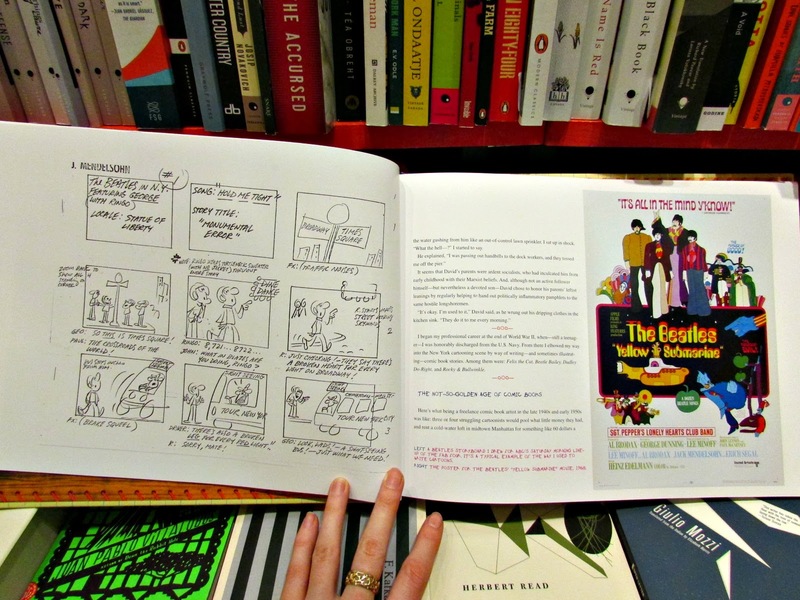 211 Bernard: Just in: Jacky's Diary, the complete collection of Sunday strips by Jack Mendelsohn! 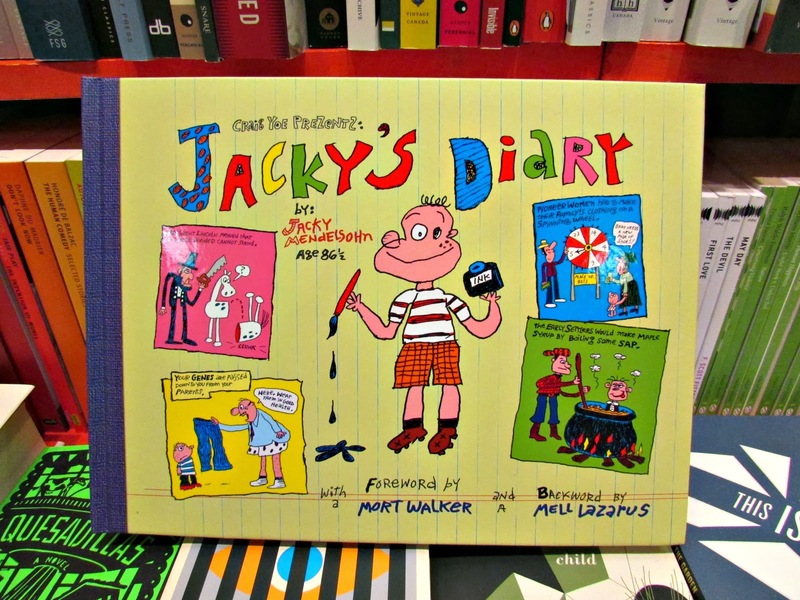 Just in: Jacky's Diary, the complete collection of Sunday strips by Jack Mendelsohn! Look what just arrived: it's Jacky's Diary! 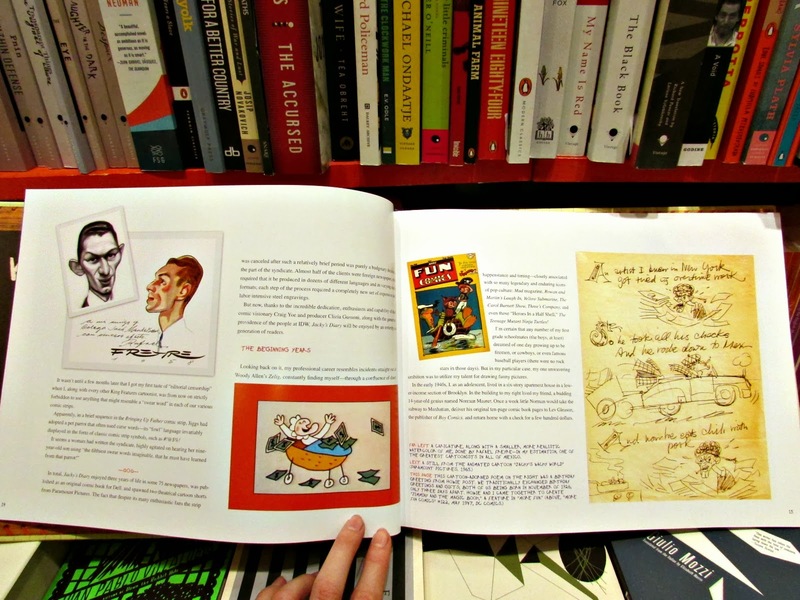 This new hardcover collection of Jack Mendelsohn's comics has the entire run of the original Sunday strip, plus an extensive introduction by Mendelsohn himself revealing some of his own never before seen photos. 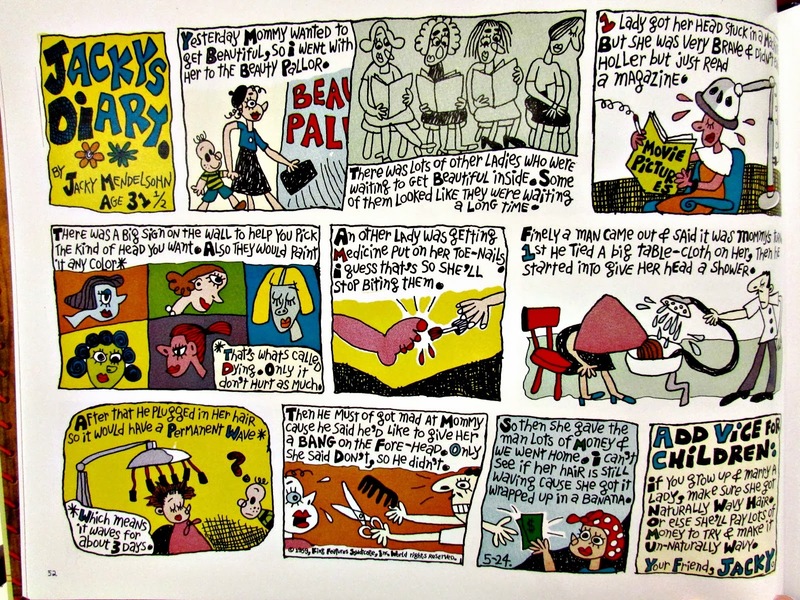 First appearing as a weekly in the Sunday funnies, Jacky's Diary was written by Mendelsohn in the late 1950s and early 1960s during the time he was living in Mexico city. Though the author was an adult at the time, he wrote from a child's perspective, striving to replicate the sort of work that a child would produce. You can see that in the first panel of each strip, he documents his age at the time of publication. Nonetheless, many readers mistook his comics as actually being written by a child, even occasionally submitting their own children's work in hopes that it would be published! Clearly, he did a good job of capturing a child-like expression of experience if so many readers were fooled. Later in his career, after Jacky's Diary was dropped by the paper (dailies being a cheaper option than weeklies at the time), Mendelsohn went on to forge an impressive career in the entertainment business. He wrote comedy for such heavy hitters as Bill Cosby and Carol Burnett, co-produced Three's Company, contributed to MAD magazine, and story-edited the Teenage Mutant Ninja Turtles series. He even wrote the screenplay for the Beatles Yellow Submarine film, as you can see above. Now an octogenarian (and this despite his habit of smoking four packs a day!) Mendelsohn's career has spanned many decades and his work has certainly influenced pop culture in a myriad of ways. Now you can get an insider's glimpse into his life and creative output, as well as read all of Jacky's Diary in one volume.